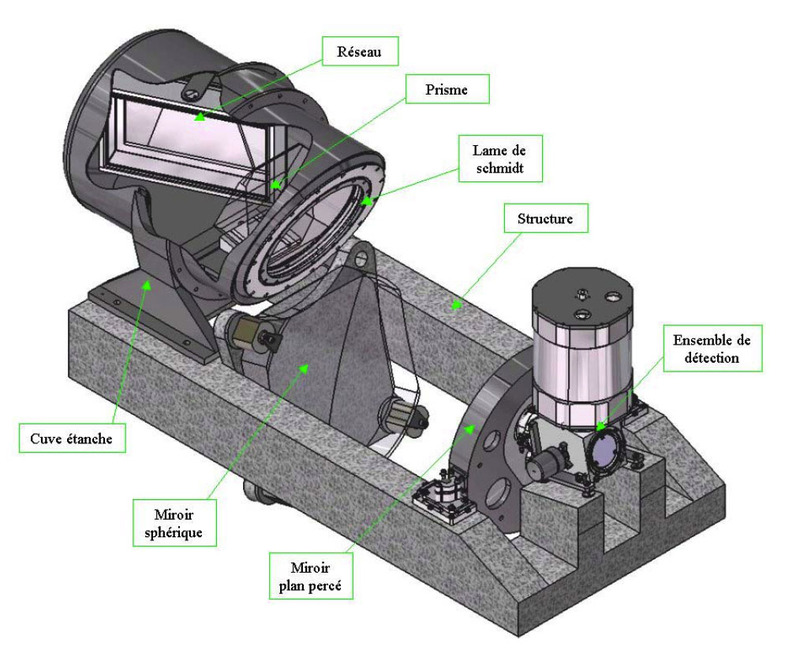 The SOPHIE echelle spectrograph, installed at the 1m93 telescope in Haute-Provence Observatory, is open to the community since late October 2006. Interested astronomers are invited to submit their observing proposals to INSU for next semester when the next call for proposals will be open, normally in April and October each year. 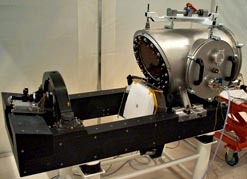 After finishing the integration phase, the installation of the spectrograph in the telescope building took place in mid-July 2006, with first light happening shortly thereafter. Three periods of commissioning (to be followed later by several periods of scientific validation) took place in August and September 2006. Results from the technical tests and the scientific validation observations are available. SOPHIE is installed in the old coudé room (which has been modified accordingly) inside a thermally controlled chamber. The dispersing elements (échelle grating and cross-dispersing prism) are placed in a tank closed by the Schmidt plate. The tank is filled with nitrogen gas and closed to be kept at constant pressure. See design layout. The CCD detector is an EEV 44-82 with 4102x2048 pixels of 15 microns, thinned, back-illuminated and has an anti-reflection coating. It is kept at a constant temperature of –100°C in a dewar with an autonomy of 48 hours. The controler used is a GenII from San Diego State University. The read-out time is selectable between less than 30 sec in "fast mode" with a read-out noise < 8e- and less than 3 min in "slow mode" with a read-out noise < 4e-. The calculated efficiency is 4% and 8% for the HR and HE modes respectively, which implies a gain of 2.5 magnitudes with respect to ELODIE in HE mode. The calculated S/N ratio indicates than a S/N of 100 will be reached in 1 hour for V=10 in HR mode. The HE mode reaches a magnitude fainter. The expected radial velocity accuracy is expected to be near +/-2 m/s (HR mode with simultaneous Th). The results obtained this Summer have allowed us to confirm these figures (see : Performance assesment for details). Light is transported from the telescope to the spectrograph via a pair of optical fibers each with a 3 arc-sec diameter aperture. Two fiber sets are available (HE and HR). The fiber heads are housed in a special adapter at the Cassegrain focus, the same used for ELODIE. A slide show illustrates the different components of the adapter (pictures taken on December 2003) also called "bonnette". The adapter also houses the calibration lamps (Continuum tungsten lamp, Thorium-Argon lamp) with an associated attenuator, the refraction correctors and the CCD autoguider, as well as a main shutter. The HR fiber set includes a set of optical scramblers to stabilize the output beam. Selection of either the HR set or the HE set is be done through software. In each set one fiber is used from the object and the other for the Thorium or the sky spectrum. The software system for SOPHIE is made up of three different sub-systems: (1) Observation preparation sub-system, or STS, (2) Spectrograph and camera control sub-system and (3) Data reduction sub-system, or DRS. Data reduction is automatic and runs asynchronously with the observation software. A fourth sub-system is used to archive all files (raw, reduced and data products).